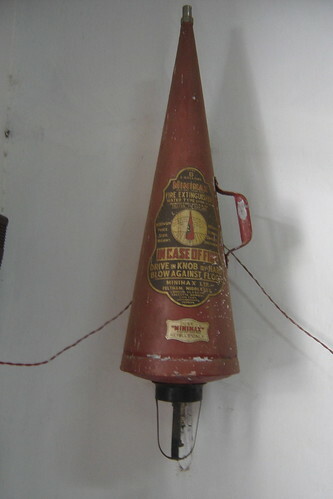 Speaking of fire and perils, here's a fire extinguisher installed at the Orissa State Museum, in Bhubhaneshwar. It's not an exhibit, it's there to do a job, but I have some doubts about whether or not it's still able to do it. The good news is that it's not as old as its 1930s-ish design and typeface imply -- the bad news is that it's still from 1971. 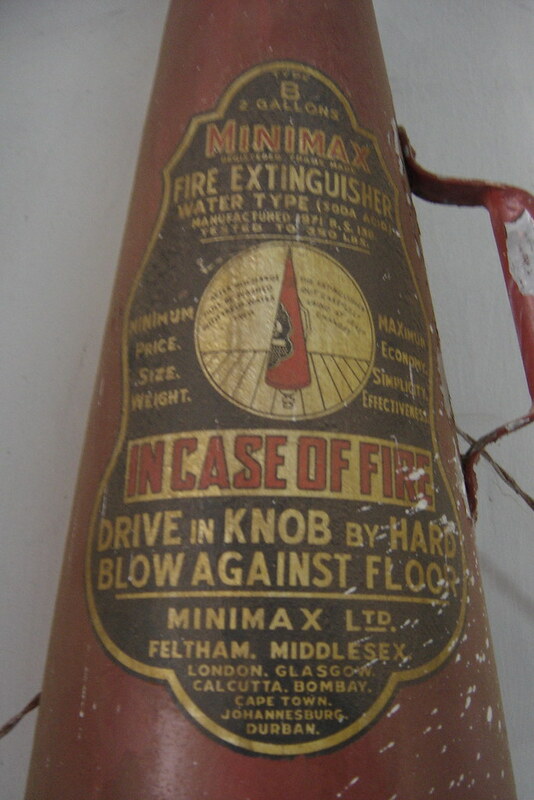 Minimax still makes fire extinguishers, but I doubt that this model is still around. Anyway, I hope the museum doesn't throw these retro extinguishers out when they finally get around to getting new ones -- the old ones would look great, for instance, in someone's stylish, overpriced modern apartment.